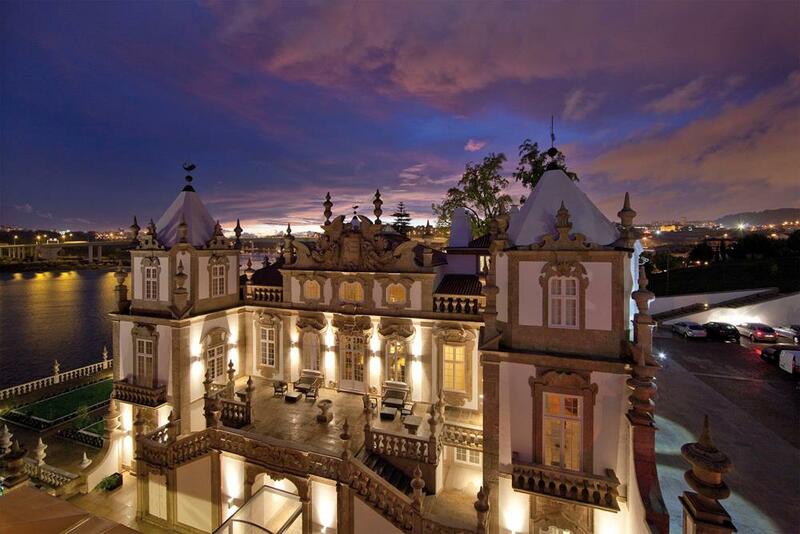 ​This luxury tour takes you from Santander to the Atlantic coast of western Spain & Portugal. A favoured destination by many Spanish because of its rugged coastline and in complete contrast to the many tourist destinations of the Mediterranean Costas. Some of the most breath-taking scenery can be found in this part of Spain and Portugal and you will ride some of the best roads in Europe. The scenery of the mountains and sleepy villages, from the Picos De Europa and across to Porto where the rugged Atlantic coast is varied and beautiful. We will visit spectacular gorges and mountains, beautiful National park lands and remote unspoilt medieval villages and towns. Many areas of Northern Spain & Portugal are mostly untouched by the hustle of today’s modern life and in many of the small quiet villages you feel that time has passed them by. 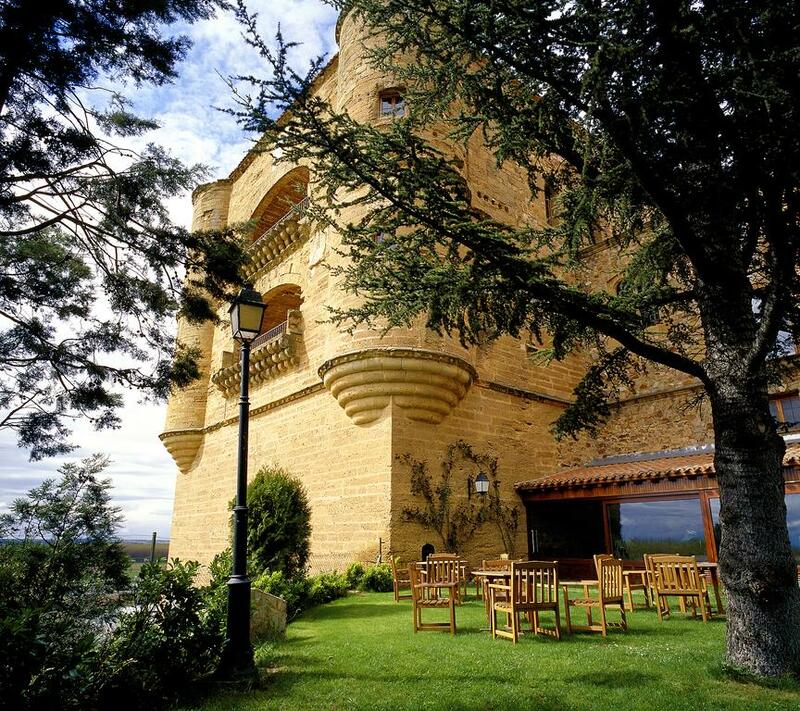 Accommodation is first class as you stay in ancient castles, palaces and monasteries and the traditional menus each night are hard to beat – an amazing adventure and a chance to experience ‘real’ Spain & Portugal. The tour takes you on minor and back roads around this picturesque and scenic area of the Iberian Peninsula. The tour is run at a leisurely pace starting at 9.30am each morning, stops for lunch and coffee along the way before arriving at each night’s hotel in time to relax before dinner. A support vehicle carries your luggage daily. Ferry departs in the afternoon for the 24 hour crossing and a two-berth cabin is included. 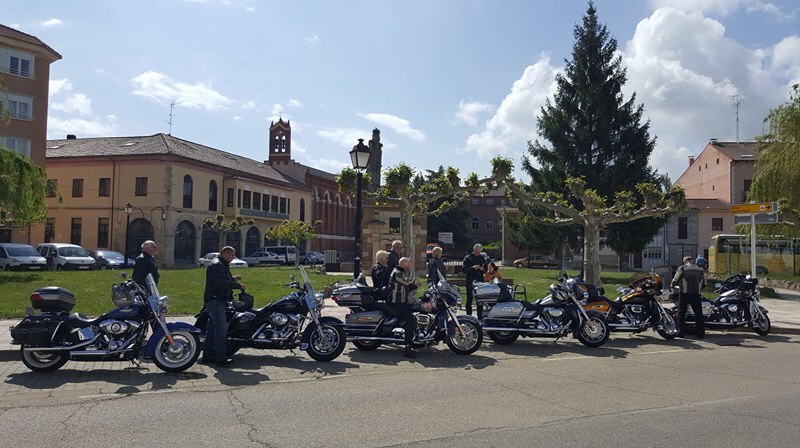 Arriving in Santander in the afternoon, we ride a short distance to our 4-star hotel overlooking a golf course on the outskirts of Comillas. Today we start along the edge of Picos de Europa Mountains and over the passes of Palembera (1,200m) and Pena Labra heading towards Cervera de Pisuerga. It’s then on to Benavente where dinner awaits us in the 4-star hotel which was formerly a 12th century castle and home to the counts of Benavente. West towards the coast, visiting the quaint towns of Puebla de Sanabria and Verin, running through the craggy landscape along the Portuguese border and away from the normal tourist routes. We cross the river Mino (which forms part of the border) and then on to the coastal town of Baiona. Tonight’s 4-star hotel was a coastal fortress and stands overlooking the Atlantic Ocean. Dinner with wine is included. A chance to relax by the hotel pool or have a wander to explore this historic town. 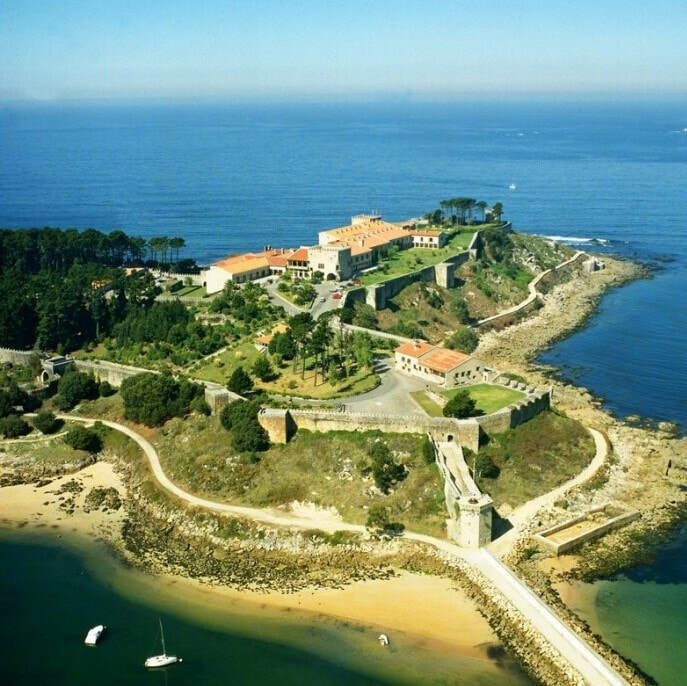 Baiona was the first place in Europe to hear about the Americas when Christopher Columbus arrived on March 1st, 1493. A replica of his ship, the Pinto, now stands in the harbour and is worth a look just to see how small it was! The old town is full of quiet back streets and there are plenty of bars and restaurants for a leisurely lunch. Tonight you are free to eat out. We continue south today and stay on the stunning sweeping coastal roads before crossing the River Mino and arrive in Portugal. 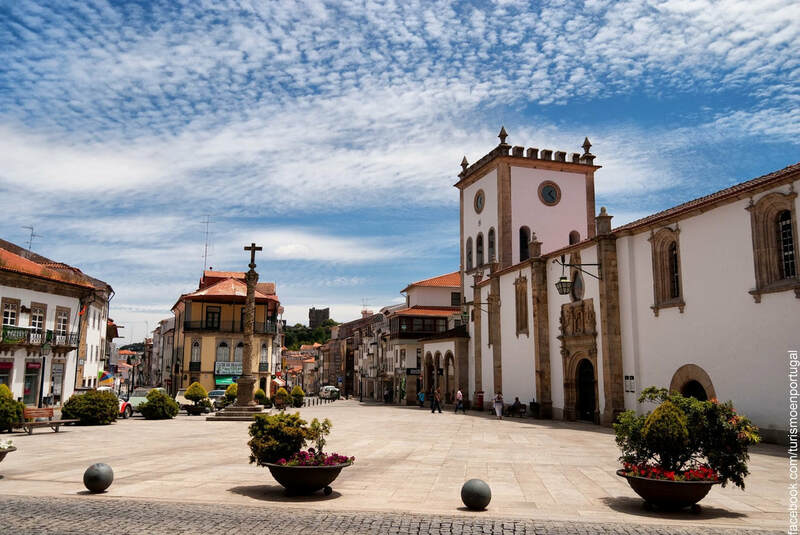 Staying on the Atlantic coastal roads we visit Vila Praia, Viana do Castelo and Vila do Conde before arriving in Porto. This beautiful city, which stands on the river Douro, is steeped in history – with its ancient streets, tiny alleyways and of course the numerous Port Cellars. Tonight you are free to eat out. DAY 7. Thursday May 31st. Day off to explore Porto. Today you are free to explore Porto, a UNESCO World Heritage city. With riverside bars and restaurants, the Romanesque Cathedral and countless Port cellars, there is plenty to see and do. Once again you are free to eat out tonight. We travel east today, via Amarante which sits in the gorge of the River Tamega and then skirt round Vila Real. Then cross-country on winding roads through largely un-known Portuguese villages and rarely appreciated scenery. Our hotel tonight is in Braganca and overlooks the city walls and castle. The Citadela was once home to Catherine of Braganca, queen of Charles II of England. Diner with wine is included tonight. As we leave Portugal via the border crossing of Rio de Ona, we have our last glimpses of villages seemingly stuck in time and oblivious to the changes of the modern world. 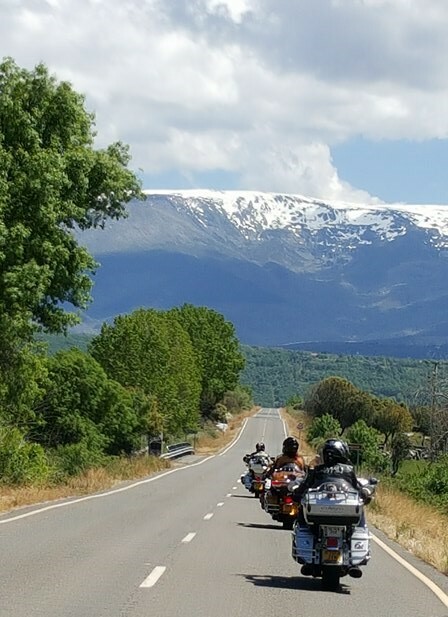 Once back in Spain we head back towards the mighty mountains and passes of the Picos de Europa, crossing the San Gloria Pass and down to our hotel on the outskirts of Potes. Dinner with wine is included tonight. This morning we ride the impressive and beautiful Deva Gorge before heading to the coast which we follow back towards Santander. Our hotel tonight is in the beach area of Sardinero and our final dinner with wine is included. You have the morning to relax by the beach, visit the Santander Harley-Davidson dealership or just have a lie in before making your way to the ferry for the mid-afternoon sailing back to Portsmouth. DAY 12. Tuesday June 5th. Arrive in Portsmouth mid-afternoon, refreshed and ready for your onward journey. Evening meals will be traditional regional menus and meat based (inc. lamb, beef, veal & pork). There will be one fish based dinner during the stay. Vegetarians can be catered for, however please be aware that menus will be very limited. The Spanish generally dine later than we do and the earliest you will eat is at 9.00pm. Although wine is included and plentiful there is not an unlimited supply. 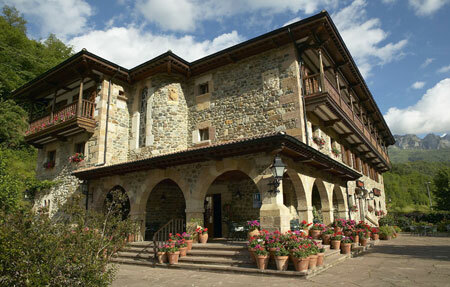 Paradores traditionally have very few rooms with double beds. Please be aware that you may be allocated a room with twin beds.